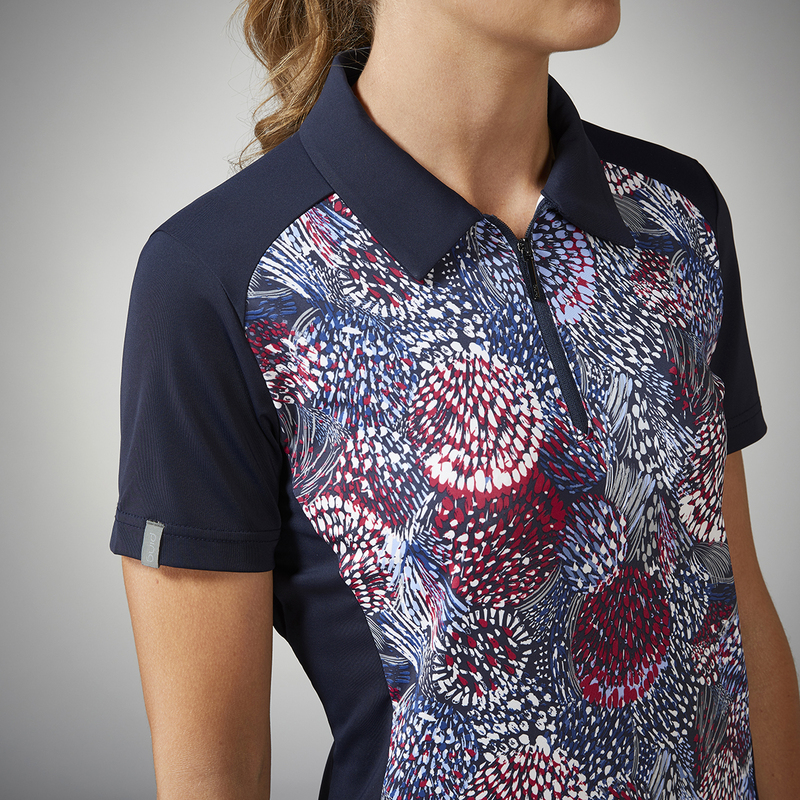 This beautiful short sleeve polo shirt, has an eye catching flourish print, with zip neck opening and vent detail at the front hem. 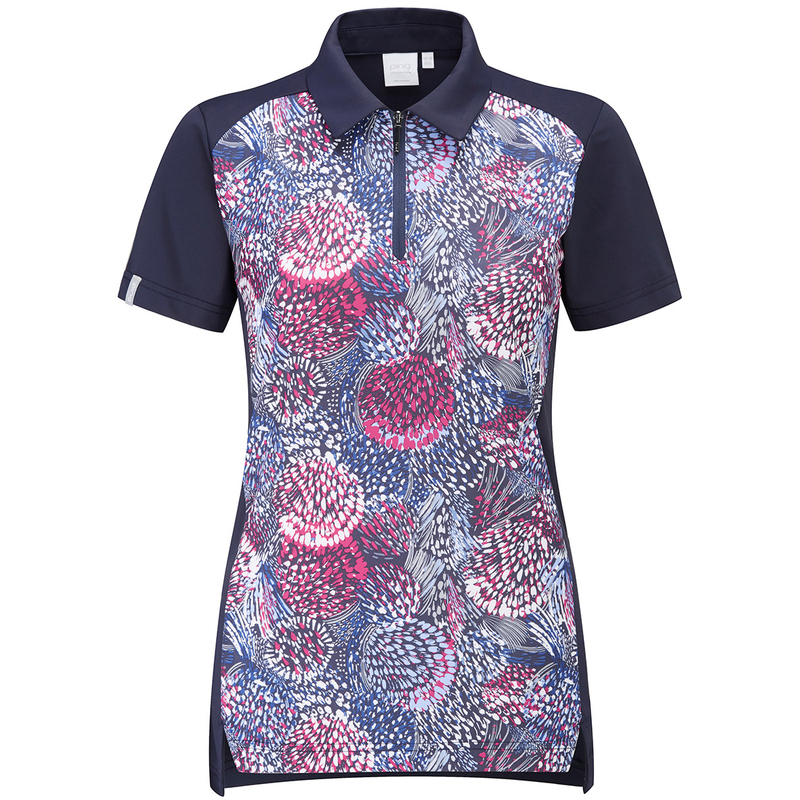 The shirt has Sensorcool technology built-in to the fabric, which offers moisture movement and fast drying to keep you cool and comfortable as you play. 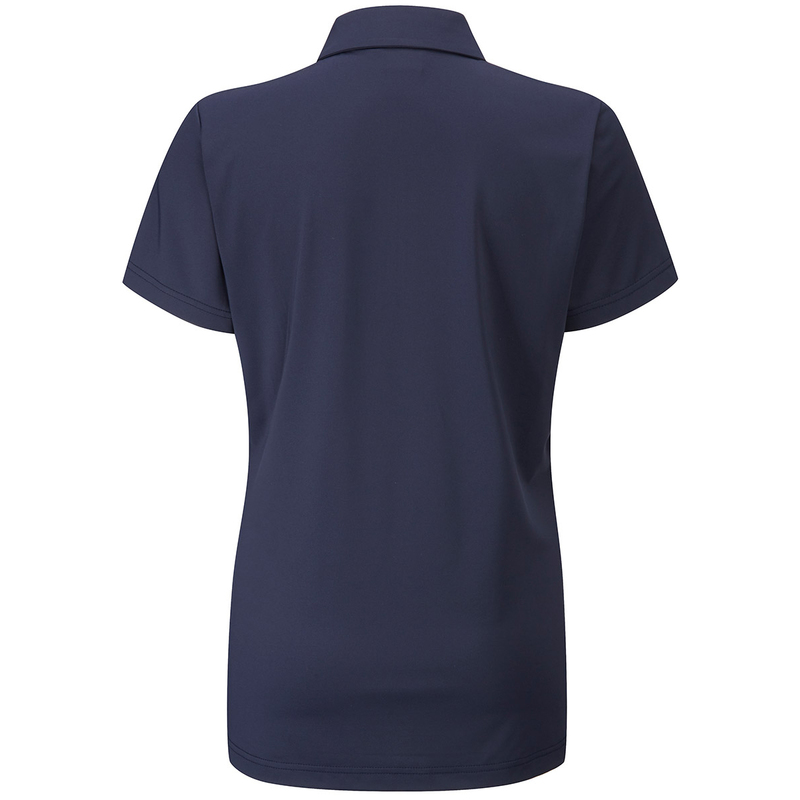 The garment has stretch properties for greater mobility, and is crease resistant to keep you looking and playing your best.